The Perfect Cement for Any Pediatric Crown. Period. to prevent washout and bacterial infiltration. 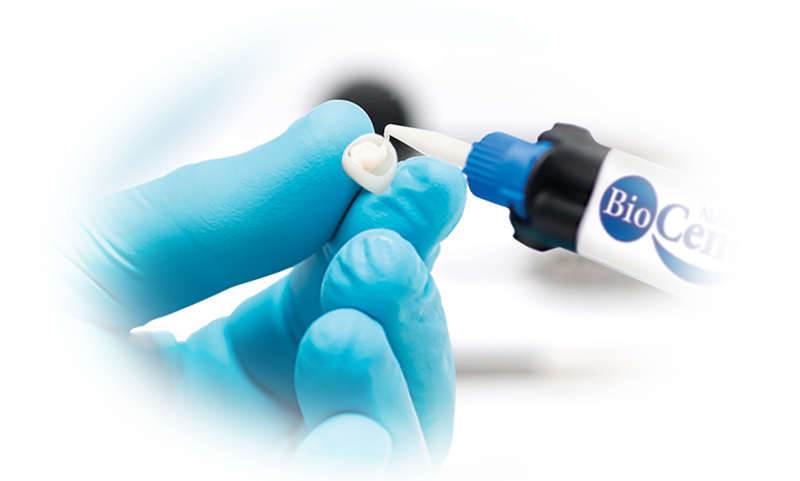 NuSmile BioCem – A superior bond for every pediatric crown. Bis-phenol A, Bis-GMA or BPA derivatives. saves you valuable chair time! auto-mix tips for bulk filling of crowns.